Next post, I’ll tackle the “Live by the sword, die by…” Well, you know. The PricewaterhouseCoopers (PwC) Oscar affair shows no signs of losing its position as a top-trending fixation for millions. The latest news about “envelope-gate” is that the firm had to hire private security for the PwC partner who mixed up the envelopes after he received thousands of emails, some of them threatening. Thousands of emails? Threats? Really? Did anyone die? (No.) Did justice prevail? (Yes.) Did PwC prostrate itself publicly? (Yes.) And still this is a story? You bet. I was at a loss to think of another situation where a company was subjected to such opprobrium for such a seemingly human error, until I remembered the 1999 Coca Cola crisis in Europe. In a nutshell, some 80 consumers in Belgium (many of them children) complained about dizziness and nausea after drinking Coke. Nobody was taken seriously ill, and certainly nobody died. Yet, in spite of Coke’s apologies – which many have said came too slowly — within days, Coke was banned not just in Belgium, but also France, Luxembourg and the Netherlands – three countries where no symptoms had occurred. Subsequent investigations found no reason for the Belgian symptoms, but Coke went ahead and destroyed 30 million bottles of soda anyway. “The Coke incident happened in July. In June, NATO completed a four-month bombing mission in Serbia,” he said. “While there was widespread condemnation of the Kosovo genocide, I suspect there was deep-seated resentment of what many viewed as a US-led bombing campaign in Southeastern Europe. They had no outlet for that resentment, so…” His voice trailed off. No outlet, that is, until a giant American icon found itself on the front page of every newspaper on the continent. The wildly disproportionate public outcry, my colleague suggested, might have been a “socially acceptable” way to flip the bird not just to Coke, but to America as a whole. Is that what happened with the PwC mistake? I don’t know, but it does seem plausible. 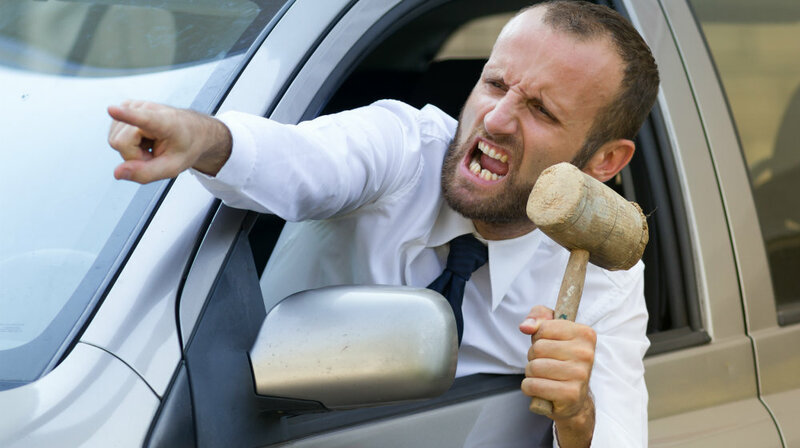 Psychologists call this phenomenon “Displaced Aggression”– an angry reaction that, due to fear of the consequences, cannot be vented against the perpetrator of the behavior that caused the anger in the first place. This bottled-up anger or aggression is then transferred onto someone or something that had nothing to do with original anger-inducing behavior. It’s why, upon receiving a flame-mail from your boss, you might respond by berating your assistant. Or getting into a shouting match with a slow-moving driver on your way home from work. In either case, the target is a surrogate for venting the anger you could not express to your boss. Is the sustained anger directed at PwC a case of displaced aggression? If so, from whom or what is the aggression being displaced? Well, if one were displeased (not to mention enraged) about the turn of events in Washington since January 20th and didn’t have an effective outlet for those feelings, one might redirect that anger to a party that had nothing to do with the original source of that anger. After all, on social media the consequences of being enraged at a big company are negligible. In the case of Coke, by the end of August, the ban was lifted and sales quickly reached pre-crisis levels. But those were a long couple of months for Coke. And it doesn’t look like PwC will depart center stage anytime soon. Where’s Lou Grant When You Need Him? What Are We Really Measuring Here? Debate Punctuation on Facebook? You'd Be an Asterisk It. Hey! United Airlines! Just What the Hell is Wrong With You?